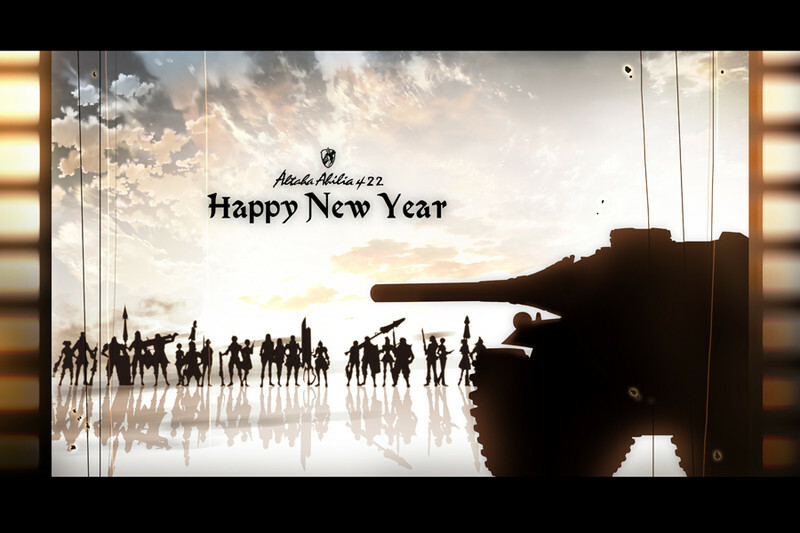 The Senjou no Valkyria 3 development team has posted this image some moments ago in the official blog to wish us a Happy New Year. I find pretty interesting, no only that they care to do this but they used the first image they used to tease Senjou no Valkyria 3 when the official site didn't exist and the website was just a misterious http://code1935.jp/ . 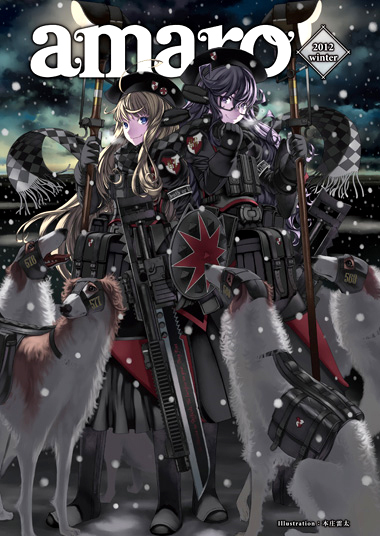 Happy New Year from me too, to all Valkyria fans and specially to all of you that visit this humble blog, let's hope the new year bring us good news for our beloved franchise. The cover art for the Amaro 2012 Winter magazine drawn by RAITA is now available in two resolutions. 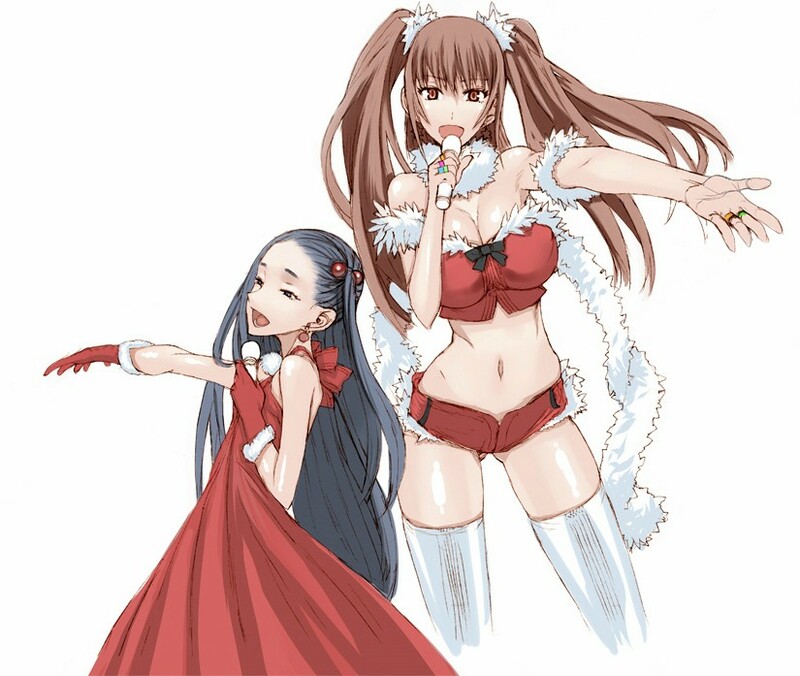 RAITA has uploaded a Christmas present to all his fans (his words) to his Pixiv account. To check the full image click on the link below, but be careful because the image is not safe for work. Every image marked with NSFW (no safe for work) contains adult material. 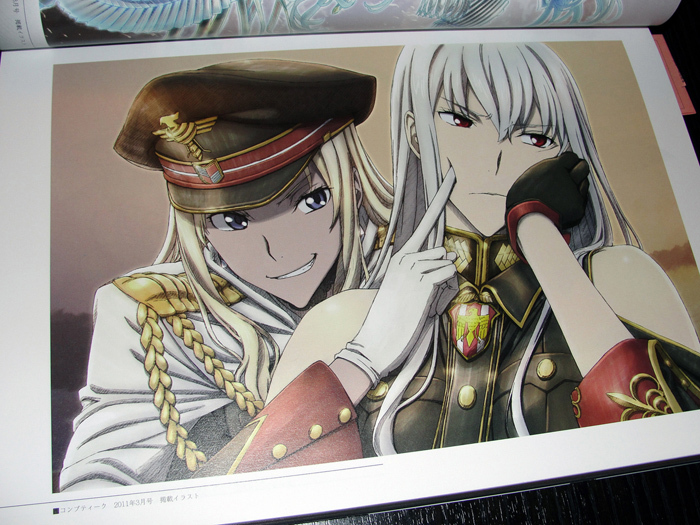 Comic Market 81 will take place from 29th to 31th of this month, and RAITA will present two new doujinshi there, and another circles will have their own Senjou no Valkyria doujinshi too. NSFW Preview 2 Page . 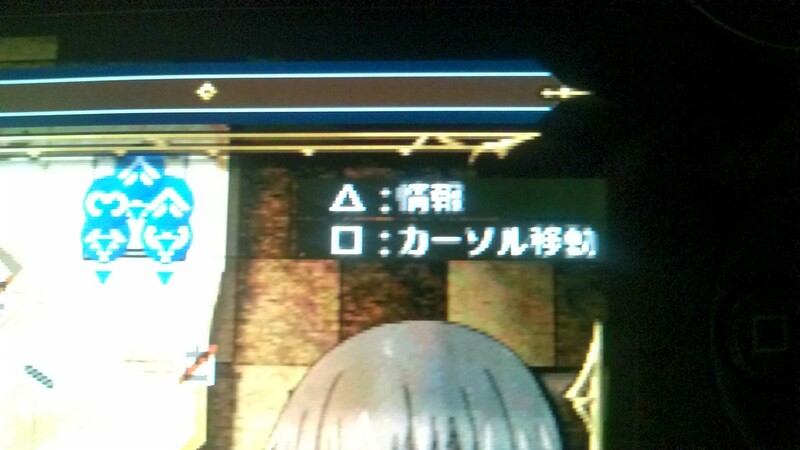 Thanks to the guys from the Japanese board 2ch, we have some images of Senjou no Valkyria 3 E2 running on PSVISTA. 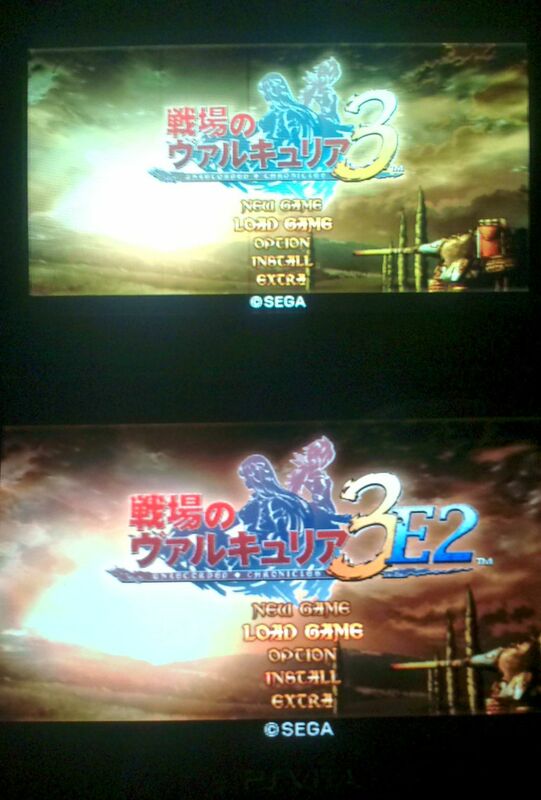 This is a comparison image between the game running on PSP 3000 (top) and PSVITA (bottom). There is a slight change in the colours when you play on PSVITA but this common issue with every PSP game that is played on PSVITA. 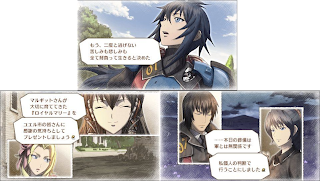 So far there is no proper images available of the actual game but, comparisons done with games like Monster Hunter shows that this change in th colours make the PSP games to look better on PSVITA, we can expect the same for the Valkyria games. 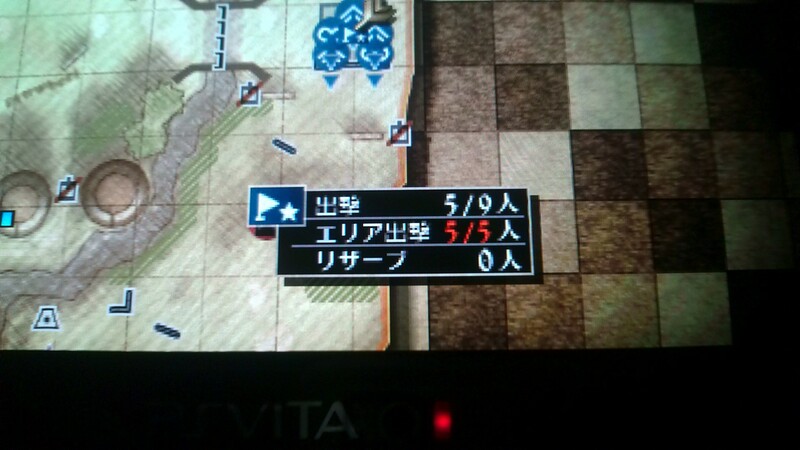 Next we have a closer look on how the Japanese font looks at PSVITA and it seems that is a little messed up, this could be because the screen resolution on PSVITA is bigger than the PSP (960 × 544 vs 480 × 272). Click on every image to enlarge. 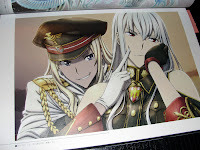 I found this laying around the internet, they look like they are scanned from the Senjou no Valkyria 2 World Artworks book, they were originally preorder telephone cards for Senjou no Valkyria 2 in Japan, one for the Animate retailer and the other one for the Amiami retailer. The one on the left is RAITA's work. The images are large, save them directly to your PC. 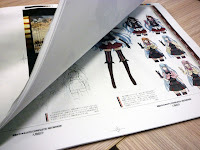 Thanks again to k_ridzzuan and to another guy called Shiddo, we have a better and more complete look at the Senjou no Valkyria 3 Complete Artworks book. Check both galleries below. 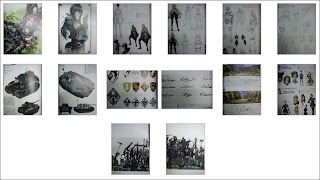 First gallery contains some spoiler images, the second gallery too but the spoiler images are marked and it's safe to watch. As always, RAITA is featured in the cover on the last Comic Amaro magazine. This is a special issue that will be out December, 24 for 998 yens. I found this comic strip in Pixiv and it make me laugh so hard that I decide to post it here. The author is ashiat. 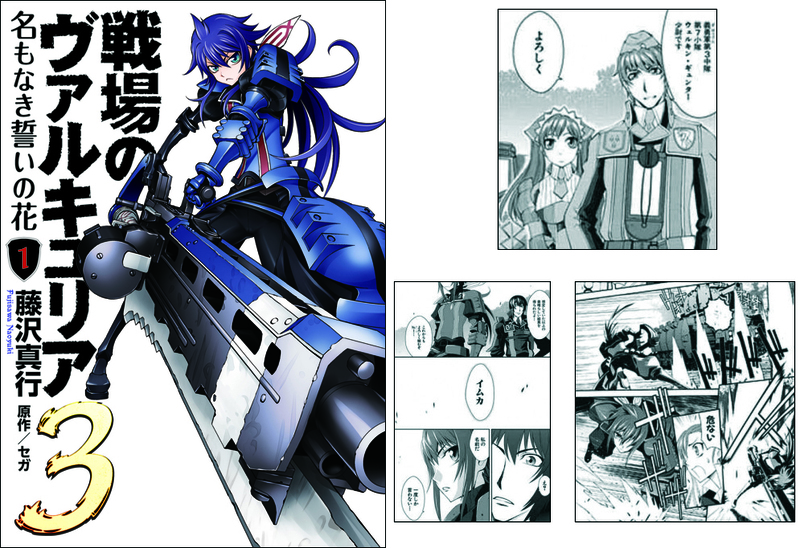 The comic strip makes more sense if you have played the DLC episode "Behind Her Blue Flame" from Valkyria Chronicles or watched the anime. 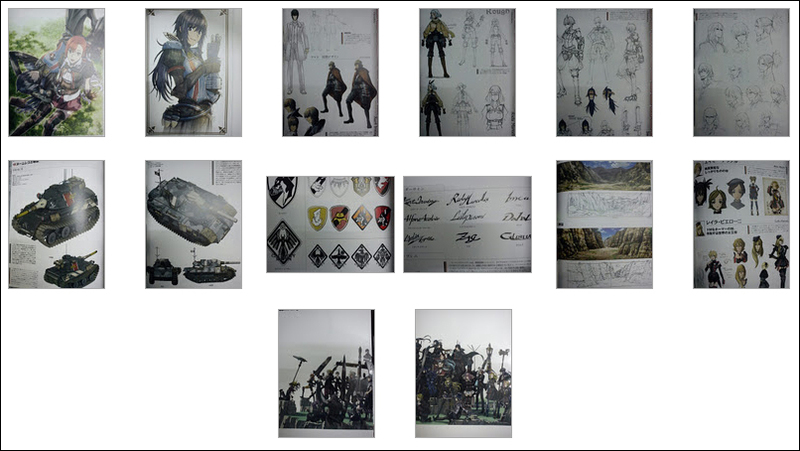 Thanks to k_ridzzuan from Gamefaqs we have a closer look to the inside of Senjou no Valkyria 3 Complete Arworks. Click the link below to enter the gallery. 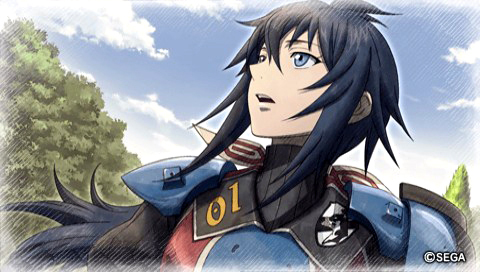 Senjou no Valkyria Development Artworks, Senjou no Valkyria 2 World Artworks and Senjou no Valkyria 3 Complete Artworks are now available to purchase on iOS (iphone & ipad) and android devices. You have to download the Book Walker application into your device, and from there, purchase the books. 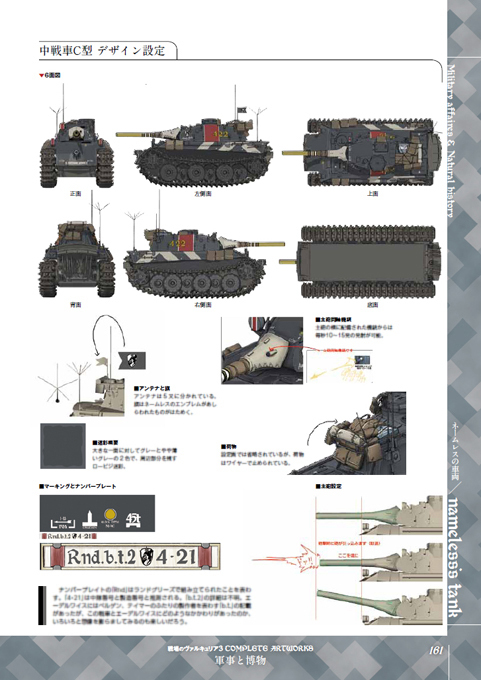 Obviously this is something for Japan only, Check the link below if you want more details about it. Ok, so now we have the sales chart for week 47 of 2011 that goes from November 21 to November 27, so far nothing new, but this time we have thanks to Media Create the top 50 selling games, sadly they only provide sales numbers for the top 20. 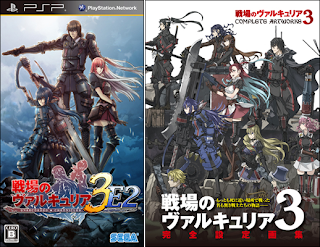 As you can see in the image below, Senjou no Valkyria 3 EXTRA EDITION debuted at rank #28. 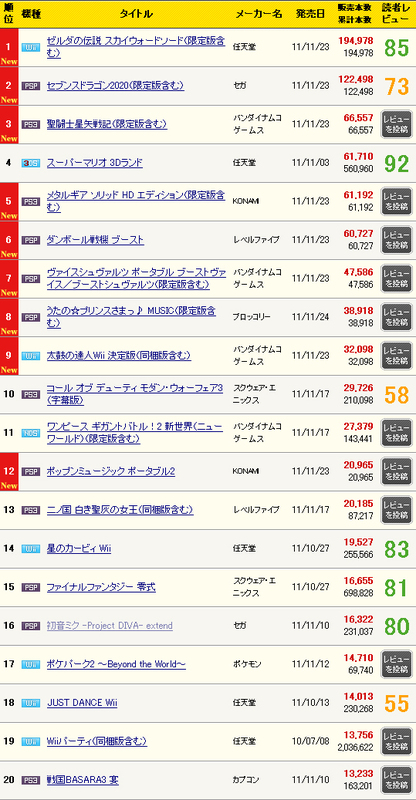 The Japanese sales chart for week 47 of 2011 that goes from November 21 to November 27 has been published today and it seems that Senjou no Valkyria 3 EXTRA EDITION has failed to enter the top 20 most selling games for that week. The last game on the chart (#20) is Sengoku Basara 3: Utage for the PS3 and has sold 13.233 units in that week, this means that the EXTRA EDITION has sold less than that. 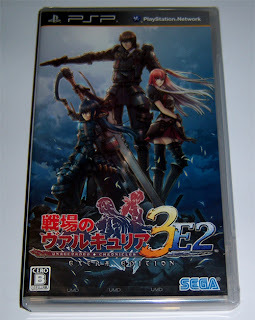 Also the reprint of Senjou No Valkyria 2 (Sega the Best ) that was released the same day (November 23) failed to enter the rank too, but this is normal, this is the second reprint of the budget version of the game, most of the people already have it. 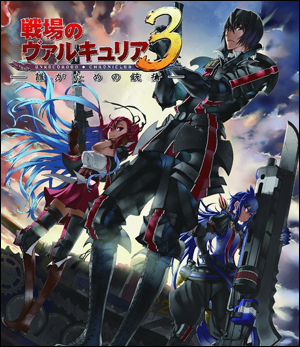 To summarize all this information, Senjou no Valkyria 3 EXTRA EDITION has sold less than 13.233 units in 5 days. In Japan, in most of the cases, the first week is when the games sold the most, so is unlikely that we will see the game in the next chart. The original release sold in his first 10 weeks, 149,327 units (official numbers), unofficial sources inform that the sales till this date rise to 172,661 units. Even if this is only speculation by my part, between the game, toys, the anime and other stuff, I'm 100% sure that the game was a success for Sega. 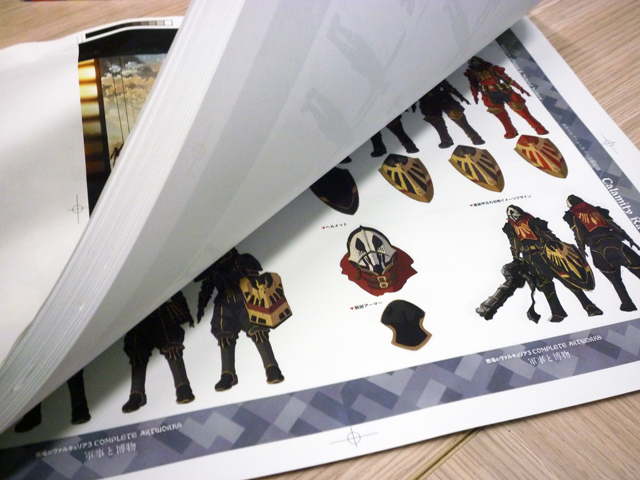 But I expected better numbers for the EXTRA EDITION, maybe is too expensive?, maybe it's too soon to release this kind of version? (lest than 12 months from the original release). This is the chapter about Gusurg sister paying a visit to Kurt and Imca to deliver a letter written by Gusurg. Very emotional episode that cast a light into Gusurg life, intentions and the Darcsen stigma. There is no map to play in this episode, only story with 4 story events. Personally I loved it, it ends in a very cool and emotional way. 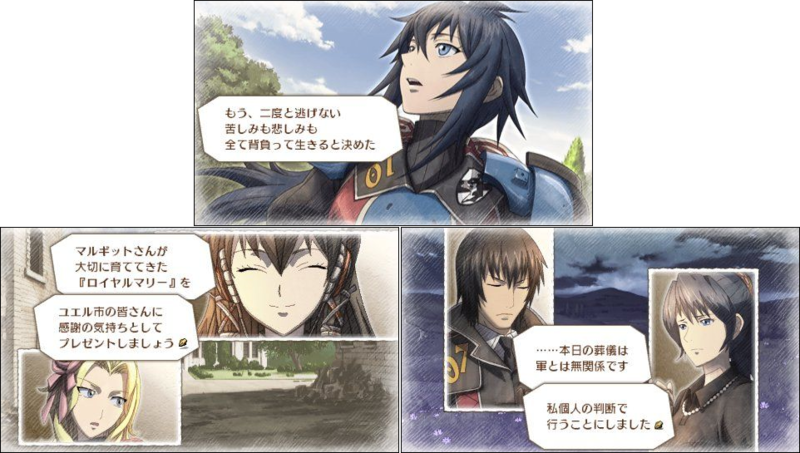 If you watched Imca's ending of the game, this is pretty much it, there is some conversations between Kurt and Imca (last 3 story events) before playing the anime cutscene from the story mode. It's a nice look into what went into Imca's head after the game ends. This is a new episode focused on Carisa and the only one that has a playable map. 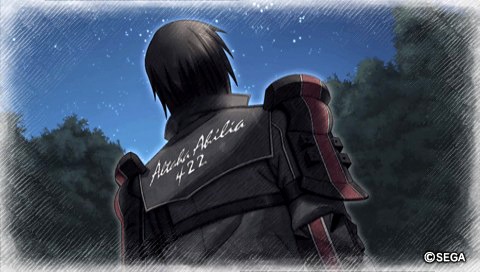 To begin with, is not that focused on Carisa even if he is the main force behind the episode, another members of the Squad 422 make an appearance, with Margit Ravelli having a big role in it. 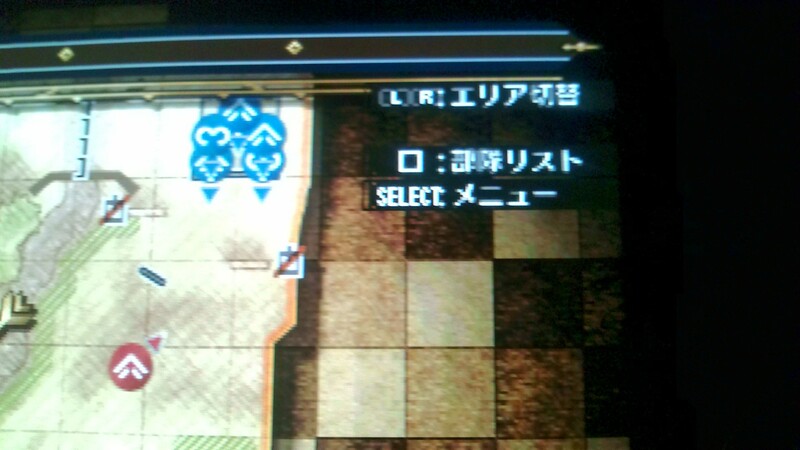 The episode is composed of 4 story event and one playable map. The map has 4 stars difficulty and basically you have to stop the enemy forces before they destroy a crate. If you can make the crate last for 5 turns, the map ends and you get an A rank, if you manage to kill all the enemies in 4 turns, you get an S rank, there is no ace or anything special about, pretty straight forward map and episode. The map is divided in 3 zones and enemies respawn after turn 3. Giulio Rosso, Gloria Durrell, Cedric Drake, Margit Ravelli, Clarissa Callaghan, Ada Ansorge, Gisele Fleming, Frederica Lipps and Carisa. So it took me 1:40 hours to beat/watch all this new content, is it worth 4000 yens if you have the original release?, probably not, but if you didn't purchased any DLC for the original release you can add more or less 3 hours more making it a little more valuable. 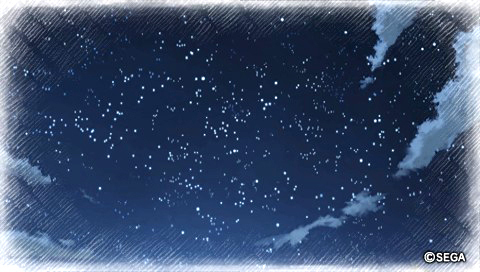 I captured this two CG pictures too, the first one is from Kurt Irving's First Battle and the second one from The Secret of Her Powers/Chapter 8. There is really not much to report, let's see... 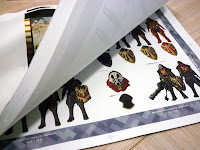 The instruction booklet is the same as the one in the regular edition, they only changed the logo of the game, they removed the map + Kurt "profile" from the regular edition that you can see when you open the game case, now it's just nothing. With the game you get your typical registration card and also a colour pamflet advertising some stuff like figures, the mangas, music CDs and some other stuff, nothing new. I imported my savedata with everything completed from the regular edition of the game and as far as I can tell, everything got imported, characters, sticker and the missions, when I loaded my converted savedata, all the new stuff was there ready to be played, something that I will do tomorrow when I have some free time. 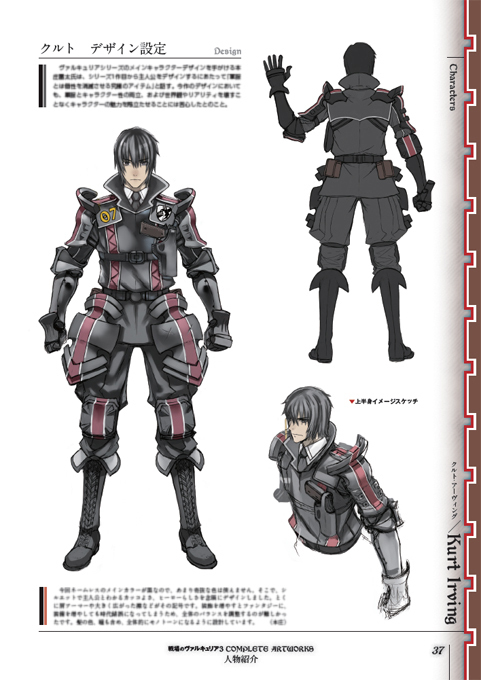 Not much to say, official promotional images from Alter from different angles. Check the link below to watch the gallery [11 images]. Animated GIF, click to watch. 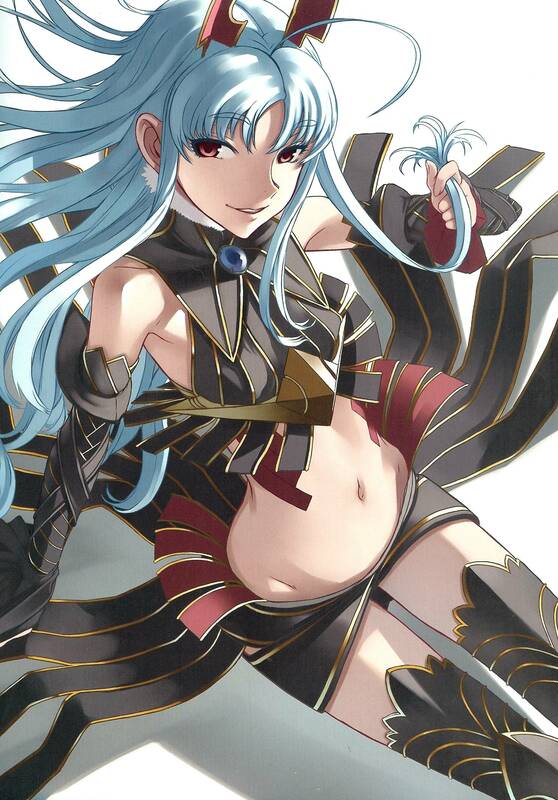 The MegaHobby EXPO2011 AUTUMN event took place today in Japan and visitors, among other things, have been able to take a closer look to the Selvaria Bles Swimsuit Ver. figure. As far as I know this is the first event open to the public where the figure was shown in colour, previously magazine scans or publicity images showed the figure painted, but not in a public event. Below some images from the event and the price of the figure. Senjou no Valkyria 3: EXTRA EDITION & Complete Artworks out now! Both are now on sale in Japan, It's time to import, especially if you want to play the game, the artbook eventually will be published in English if UDON thinks is a good idea to release an artbook based on a game that wasn't released in America or Europe. 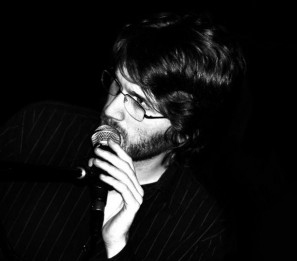 The guys at the Gallian Liberation Front had the chance to speak with Casey Ormond in their latest podcast about his work for the Senjou no Valkyria Piano Pieces album. 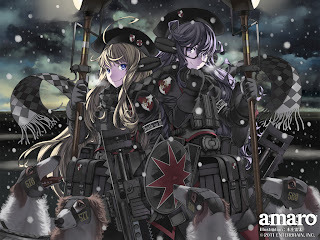 They talk not only about Casey's works as the arranger and performer on the album, but also about how the project started, Valkyria Chronicles music and videogame music in general. You can watch the podcast on their Youtube channel. 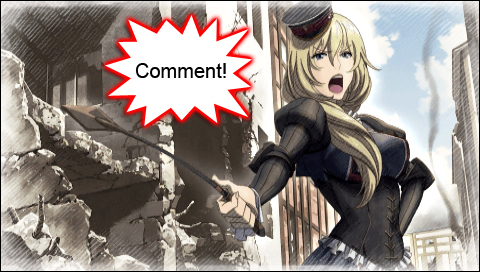 Don't forget to sign their petition to bring Senjou no Valkyria 3 to the west. This is a new petition, if you signed the first petition, you have to sign this one too because the first one is not longer valid. 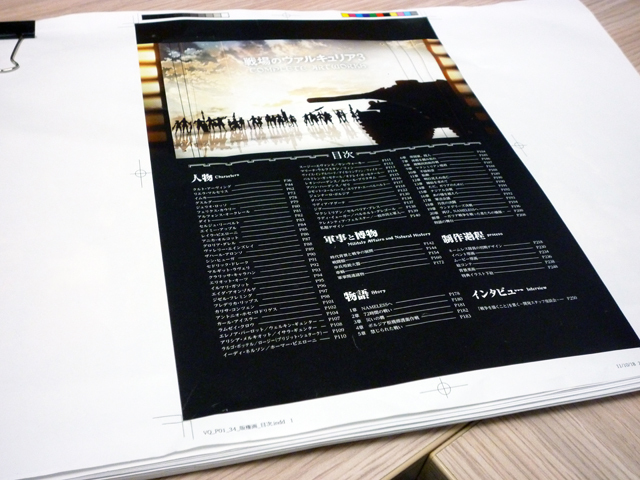 Senjou no Vakyria 3 Original Sound Drama "Sky" available! This piece of drama was scheduled to be performed live at an event held on March 13, but the event was cancelled. 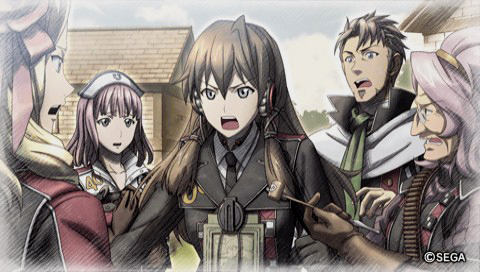 With less than a week, the team decided to upload to the official site this piece of drama that will be also included in Senjou no Valkyria 3 EXTRA EDITION as an new episode exclusive for this edition of the game. The version available on the website only provides sound and last more or less 20 minutes [10 Chapters]. This is a small summary of the story for this new chapter, don't read it if you haven't finished the game, it contains a big spoiler from the game. This episode takes place in October 1935 when Imca and Kurt are holding Gusurg funeral, the pair gets an unexpected visit, a woman claiming to be Gusurg sister. The character that will appear in this chapter are: Kurt, Riela, Imca, Gusurg and Gusurg sister. Below the images from this new episode, the images are not new. The drama can be listened from the link below. If you want to download the whole thing you can do it from here, it's important that that both swf archives are in the same folder or they thing won't work. 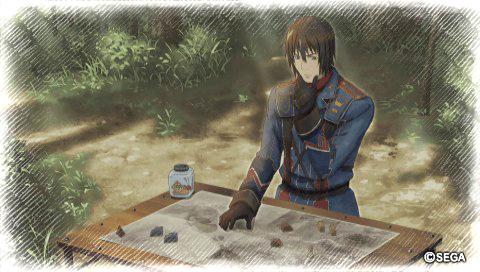 The official blog for Senjou no Valkyria 3 has been updated with some juicy news, let's start!. 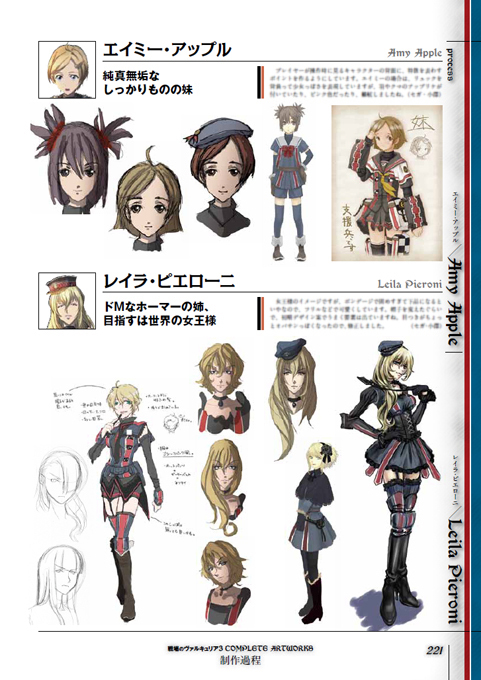 First we have finally a preview of Senjou no Valkyria 3 Complete Works (November 24 on sale). Click on every image to enlarge. 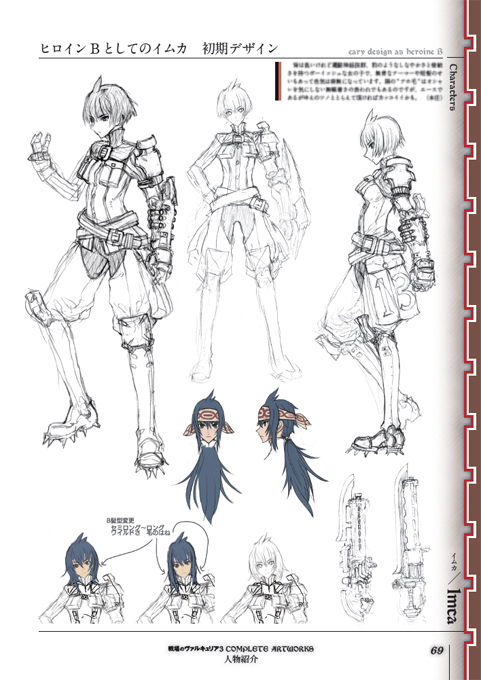 Very interesting to take a look tat Raita's original design for Imca with short hair, also early designs for Amy and Leila can be seen in the preview pages too. 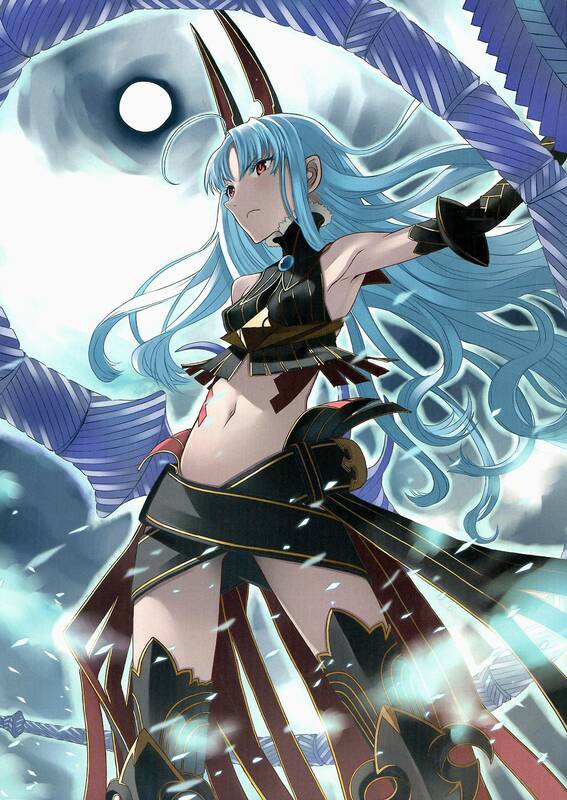 Next it's the first official image in colour of the new Selvaria figura based on a new original design by Raita. The figure will be present on November 23 in the Megahobby EXPO2011 AUTUMN event. Personally I'm not a big fan of this figure, even if I love Selvaria, this looks to me like a wasted opportunity, there is so much potential in the Valkyria universe for great figures, anyway, the figure it's cool, don't get me wrong. 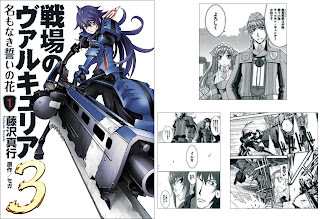 The Last bit of new it's the cover and small preview of the first volume of the Senjou no Valkyria 3 manga (already on sale). ·PS3 menu images: All the images that the PS3 display when you insert the game disc or load your savegame. ·Music: 33 music track, because this is directly ripped from the disc as raw data, they are not properly named. This is not the full soundtrack or in most of the cases the full songs but there are some interesting things. ·Movies: 71 movie files at 720P resolution. From the opening, to the credits, every movie in the game with dual audio (Japanese and English) without subtitles. The torrent is pretty heavy and probably there is not too many people seedeing it, be patient. Open the link below with your torrent program. 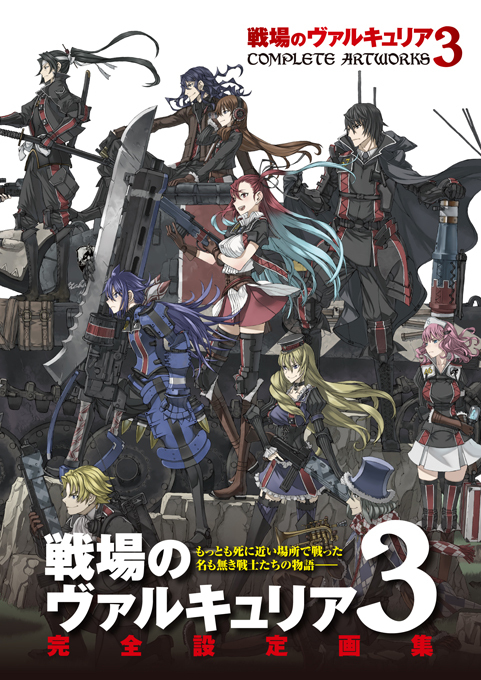 The next one is another fansub of the first OVA of Senjou no Valkyria 3, this time done by the group called Doki. The OVA is available in 3 resolutions, 480P, 720P and 1080P with very high quality of sound and image and of course English subtitles. The torrents are fairly new, it won't be a problem when it comes to download. Don't forget to share when you are done and support the real product if you can afford it. Open the link below with your torrent program. Lastly, I added my contact e-mail in case anyone want to collaborate or send me news tips. The address is located in the right side of the blog, just below the total pageviews and the RSS subscription. I live in Europe, if you contact me from other part of the world, it will take maybe a day for me to notice it because the time difference, be patient, I always reply.